Visit the KNIT Photo Essay by me, Lynette Fitzpatrick. Now, additional craft and hobby elements will as well be documented artistically. As I created a wedding guest wishes garland for a bride, I fell in love with the delicate fan shape of the ginkgo leaf. This got me to thinking about, and searching for, various ginkgo art work. 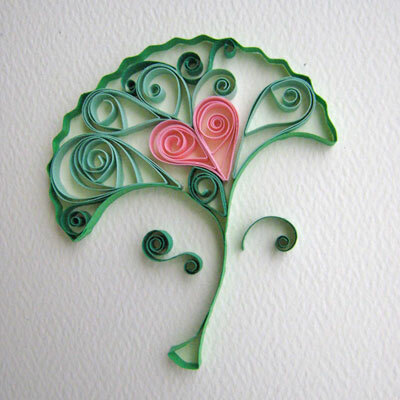 Here, the intricacy of this paper art is incredible. I am impressed by the attention to detail. Wouldn’t a pair of these make a darling cake topper for a wedding? Thank you crafting creatures for sharing your wonderful crafty talents!